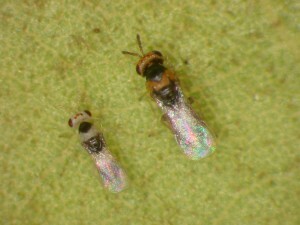 Wiliwili gall wasp (Quadrastichus erythrinae) male (left) and female (right). 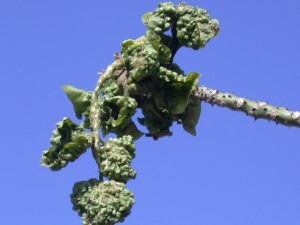 Gall damage to wiliwili ( Erythrina sandwicensis) leaves and stems. Close up of galling to wiliwili, showing gall wasp emergence holes. 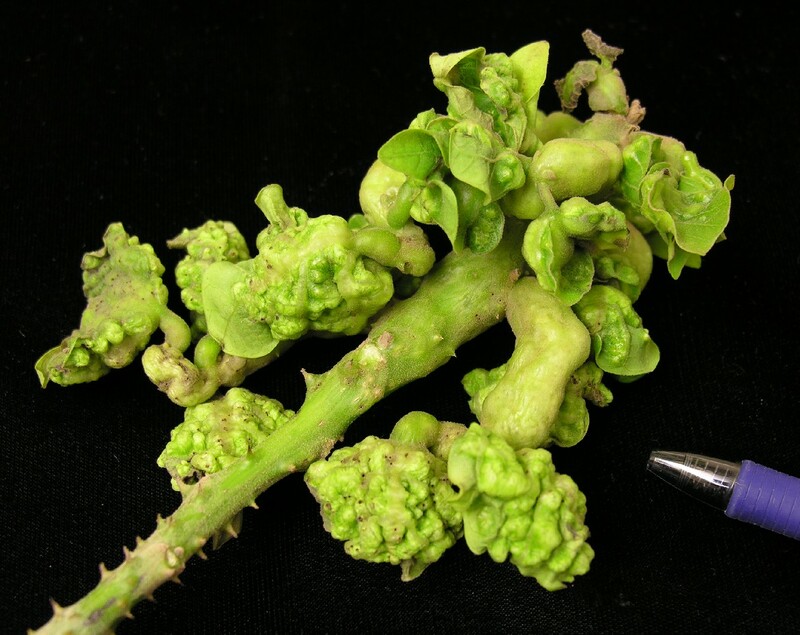 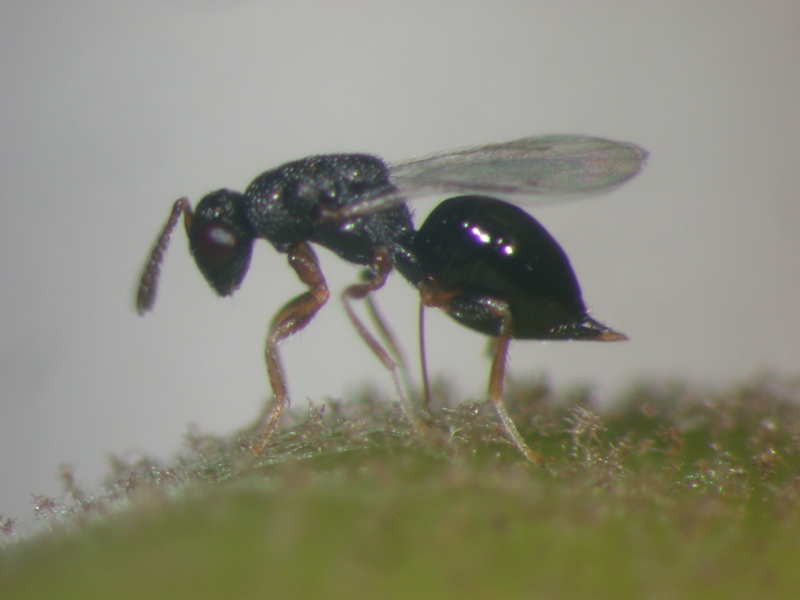 Wiliwili gall wasp parasitoid. Eurytoma erythrinae.